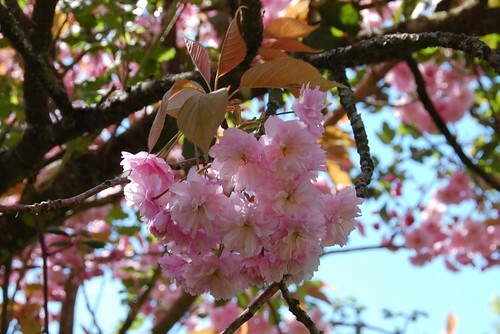 Cherry blossom, this ornamental variety sets no fruit, such a pity. 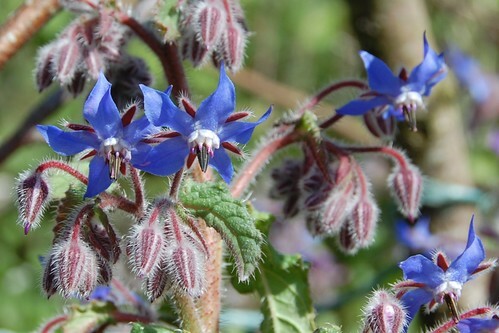 The Borage has been out for a few weeks now, very early. I'm sure I should know the name of this pretty weed but it escapes me for the moment. Can anyone help? 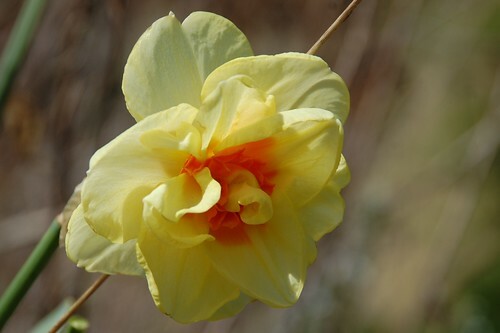 These big blowsy daffs are not my favourites but came in a mixed bag. Saving up for some more elegant varieties. 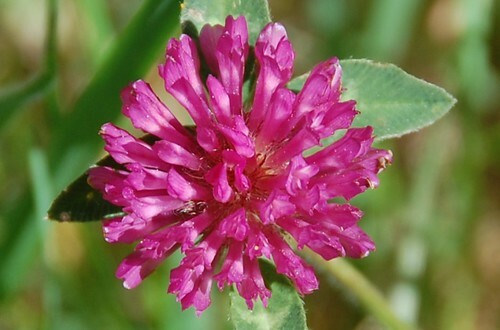 Red clover, just getting started now. Reminds me to plant some of the crimson flowered for later in the year. 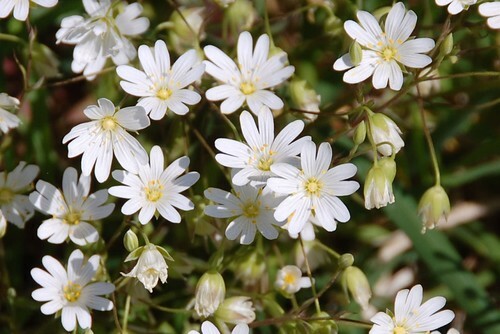 The white weed looks like one of the stitchworts.